Born in Malaysia, Dr. Jeremy Chung immigrated to Canada with his parents and brother in 1982. Raised in the Killarney area of southeast Vancouver, he went to UBC to attain his Bachelor's of Science in Biochemistry in 1996 and proceeded to dental school where he graduated from the University of Manitoba in 2001. He promptly returned to the lower mainland and practiced in Burnaby for 6 years followed by 3 years in North Vancouver. Dr. Chung is proud to be returning to Burnaby where he has set up his own dental practice with the aim to provide the highest quality of care with a personal touch. Dr. Chung believes in providing comprehensive patient-centered care where options are given to patients so that they can make the most informed decision on their own dental health. His goal is to provide smiles that last a lifetime and having long lasting friendships with his patients. 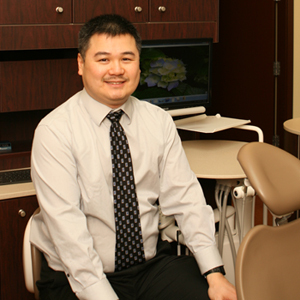 Dr. Chung has enjoyed practicing general dentistry these past 10 years. Whether he's placing composite (mercury-free) fillings, performing root canals, or difficult surgical extractions, you can be sure that he has taken the utmost care in providing the best that he has to offer. For very anxious patients, he also offers training in conscious sedation where oral sedatives and/or nitrous oxide can be administered to further alleviate any anxiety that may arise. When he is not in the office, Dr. Chung enjoys spending time with friends and family. He currently resides in downtown Vancouver. He can be frequently seen walking around the False Creek seawall and recently has enjoyed learning how to ski. His other pastimes include watching movies, going to Canucks games, and learning about computers and new technologies. We are a family dental care practice located in northeast Burnaby at the corner of Hastings St. and Sperling Ave. Conveniently located at the entrance of the Barnet Highway and within close proximity to Simon Fraser University, major bus routes, and the Lougheed Hwy and Highway 1, we are easily reached within minutes. There is free parking directly in front of the office as well as in the lot beside the TD Canada Trust next door. Our brand new office is equipped with the most modern proven technologies and materials to provide the highest quality of care and safety for you and your family. We are here to provide you with all your general dentistry needs including cleaning, whitening, composite (white) fillings, crowns, bridges, and extractions. We are open at hours that are convenient to you, including evenings and Saturdays, to accommodate your busy schedule. Our goal is to provide the greatest care and comfort during your dental experience while achieving consistent, first rate, quality results. This includes explaining conditions and procedures to make a well-informed decision, offering conscious sedation, and using a gentle touch. We hope that you will take the first step to join us in what will become a mutually beneficial lifelong friendship by calling us for your appointment today. We look forward to meeting you and achieving your goals for a beautiful, lasting smile. Your first appointment will usually be for a complete initial exam, unless you have a specific problem that requires immediate attention. This initial exam includes documenting the current conditions in your mouth as well as all previous dental work performed, taking X-rays, and recording the health of your gums. Using all that information, a brief overview of your oral health will be presented and treatment options will be discussed that will best meet your goals and expectations. If there is time remaining, we can also start with some dental cleaning. Please arrive 15 minutes before your scheduled appointment to allow sufficient time for us to enter your personal information into our computer system, as well as confirming your insurance information and completing a medical questionnaire. Our office is open extended hours for the convenience of our patients, and in consideration of their work schedules and children's school responsibilities. By being open 5 days a week (Tuesday to Saturday) as well as being open from 10am -7pm on Tuesday evenings, we can meet your dental health care needs at a time that is convenient for you. Although we strive to stay on time with each appointment, delays may occur due to unforeseen circumstances resulting from the complexity and varying difficulty of certain procedures beyond our control. However, most delays are caused by patients arriving late for their appointments. With everyone's lives being very busy these days, we ask that you do your best to arrive on time for your appointment so that all appointments will be on schedule as much as possible. New patients should plan on arriving 15 minutes early to allow us to enter your personal information into our computer system and to fill out a medical questionnaire. Your appointment time is reserved specifically for you. If you cannot honour your appointment, we request a minimum of 2 business days notice. This is so that we can give that time to someone else who may want to come in at that same time or who may also require immediate attention due to pain. Therefore, all scheduled appointments require a minimum of 48 hours notice to be cancelled or changed in order to avoid being charged a cancellation fee. 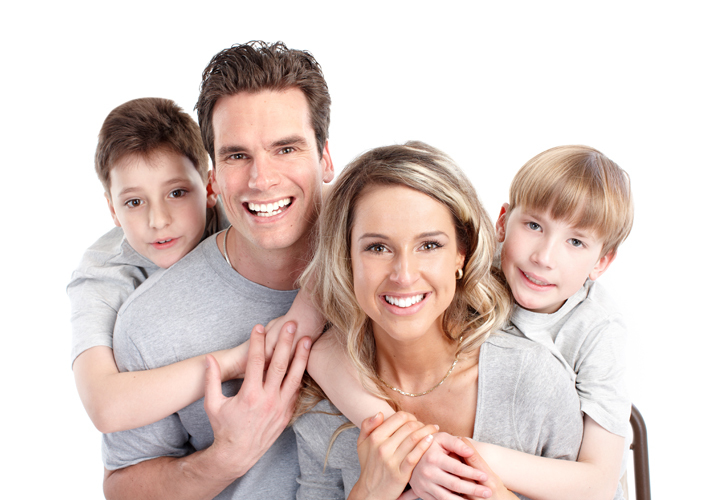 As a courtesy to our patients, we accept most dental insurance plans. Please ensure that you give us accurate information about your policy numbers and details of your plan. It is the patient's responsibility to keep this information up to date especially since policies may change due to personal circumstances (eg. divorce, graduation from school, change of job, etc.) or employers may switch insurance carriers. Using the plan details that are provided, we will estimate your insurance coverage for any services required, but it is important to understand that it is only an estimate. We will submit forms on your behalf to accept payment directly from the insurance company, and you will be asked to pay the portion of the patient co-payment. The amount settled by insurance companies may be different that what is estimated due to limits of coverage, different eligible fees for procedures, etc. However, at all times, the patient is always responsible for all fees and costs not settled by the insurance plan. Payment is due in full upon completion of treatment. If you have insurance, the patient co-payment portion is collected. If the insurance portion paid is less than what has been estimated, a statement will be sent to you for the balance which is due upon receipt. We accept payment in the form of cash, debit/Interac, MasterCard, or Visa. Please use the following form to request an Appointment. Once we receive your request you will be contacted by our receptionist. Please do not disclose strictly personal information using this form, instead please call the office if necessary. Please do not use this form to change or cancel appointments. © Sperling Dental 2012-2015, All Rights Reserved.